This basketball season, Special Olympics Illinois will be using a full-court press to attract volunteers for its Area, district and state events. 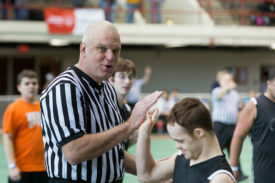 With support from both the Illinois High School Association and Illinois Basketball Coaches Association, Special Olympics Illinois is directly reaching out to IHSA member officials with the goal of raising awareness and increasing volunteerism across the state in all Special Olympics Illinois activities. Volunteers are the foundation for Special Olympics Illinois. Today, however, their involvement is even more crucial because of not only higher costs to organize and conduct events, but also an increase in participation. It’s a win-win outcome for everyone involved. 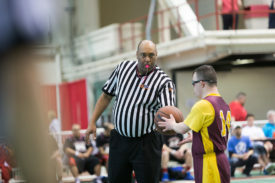 The money saved through volunteerism enables Special Olympics Illinois to improve existing and/or add programs and services, and, most importantly, provides children and adults with intellectual disabilities the opportunity to receive the same level of experienced officiating that elementary and high school programs expect. This recruiting initiative is tipping off with basketball and will eventually make its way into other sports. 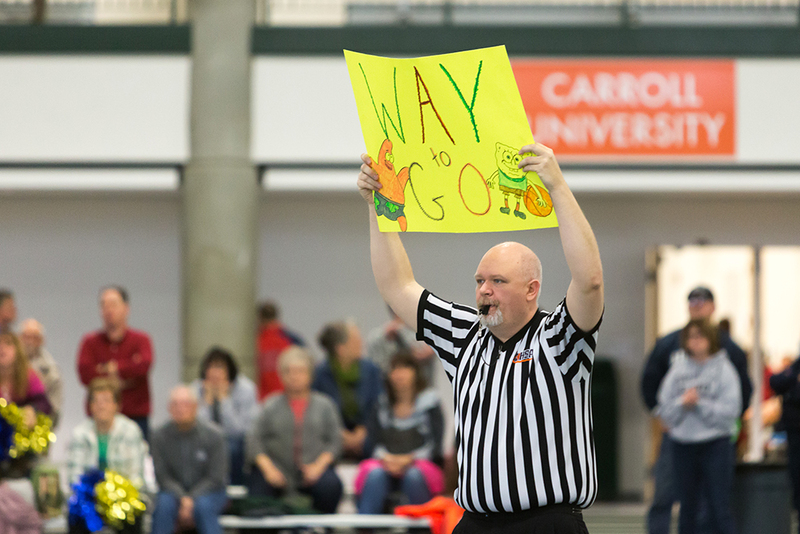 This fall, with the help of Bob Reczek from Mokena and Jerry Blum of Lake Zurich, Special Olympics Illinois is reaching out to dozens of referee associations across the state — making personal speaking appearances or asking that they show a video and distribute volunteer information cards. Those information cards will be collected on-site and sent back to Special Olympics Illinois Vice President of Sports Training and Competition Tracy Hilliard, who will oversee a master database of interested volunteers and then utilize this contact list when scheduling the annual State Basketball Tournament in Bloomington-Normal in March. The information will also be shared at the Area level so that they can also tap into the pool of volunteers for their respective games and tournaments. For officials who aren’t directly connected to an association, they can fill out an interest card and mail/email to Hilliard at 605 E. Willow St., Normal, IL 61761.